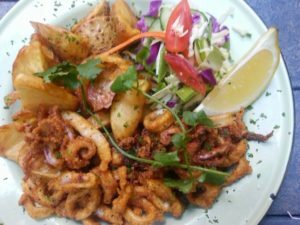 Every one in Cape Town has their favourite restaurant for Calamari and we often make whole Sunday outings in search of our favourite seafood snack. 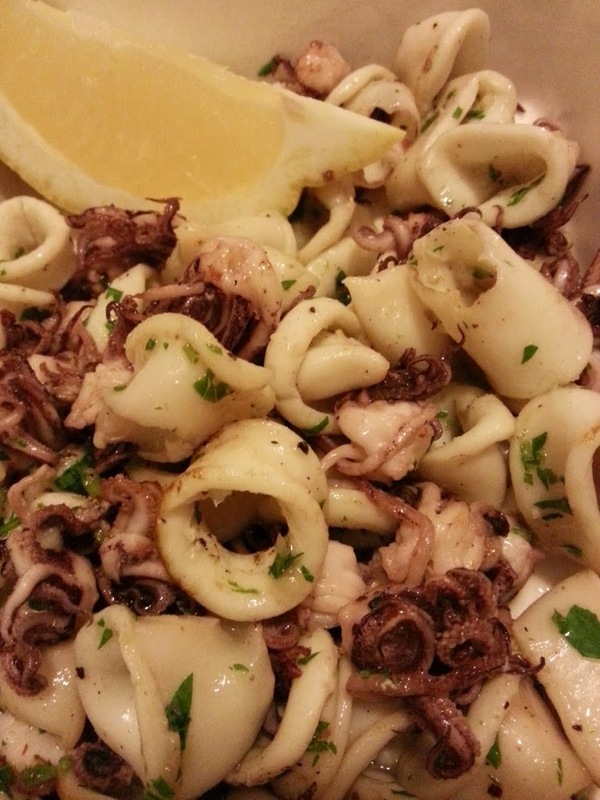 Calamari is SASSI green listed, affordable and readily available so it makes sense to make your favourite dish at home. It’s actually quite simple when you know how. 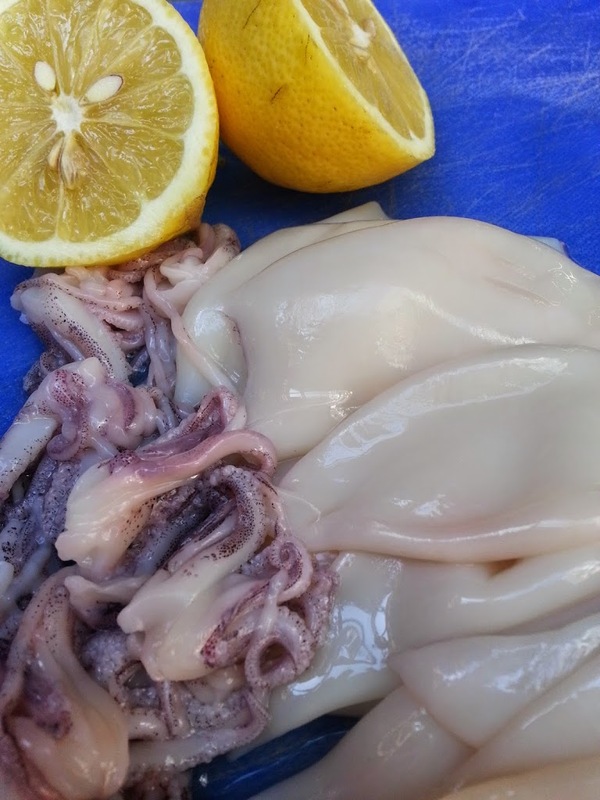 Firstly and most importantly for me is to purchase the correct Calamari as there are all sorts of weird calamari concoctions out there – including spongy steaks, reformed rings, pre-crumbed treated rings…..bleh! Rather stick to simple whole calamari, usually referred to as Patagonica. Most of our calamari comes from the tip of South America – Patagonia. South Africa also has delicious Calamari but unfortunatly it all gets exported and as much as I’ve tried it’s very difficult to secure a constant supply of local. Once you’ve got your Calamari the rest is easy if you follow these steps. You’ll need about 100 to 150g of cleaned Calamari per person. Dust with seasoned flour. I use a mixture of flour, Cayenne pepper, Paprika, fish masala, salt and pepper. Tip Put the flour and Calamari into a sieve, when the calamari is coated, shake the sieve until all the excess has been removed. Fry in hot oil, in batches – 200 degrees for 20 seconds. I feel it’s easier to stir fry Calamari at home as you don’t have to fuss with a big pot of oil. Cut tubes into sections of about 2cm. Dry the Calamari on a clean dish towel. As with the fried calamari you’ll need to cook the calamari in batches. 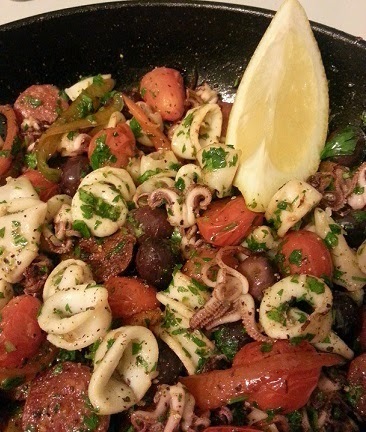 If you add too much calamari to the pan at once it will draw water and steam rather than sear. Start by slow frying a sliced chorizo until the oils are released. Remove from the heat, add a little oil if necessary and turn up the heat. When the pan is hot, sear the calamari in batches for 20 seconds at a time. Add to the pan: cooked chorizo, 1 cup olives, 1 cup cherry tomatoes, 1 clove garlic (crushed), 1 sliced red pepper, a handful of chopped parsley and a the juice from 1 lemon. Cook until the tomatoes are just soft. Add the calamari, heat through and serve.